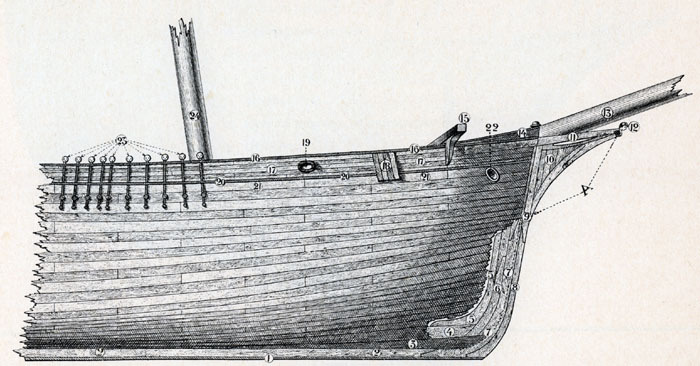 A longitudinal model of half of a vessel's hull. 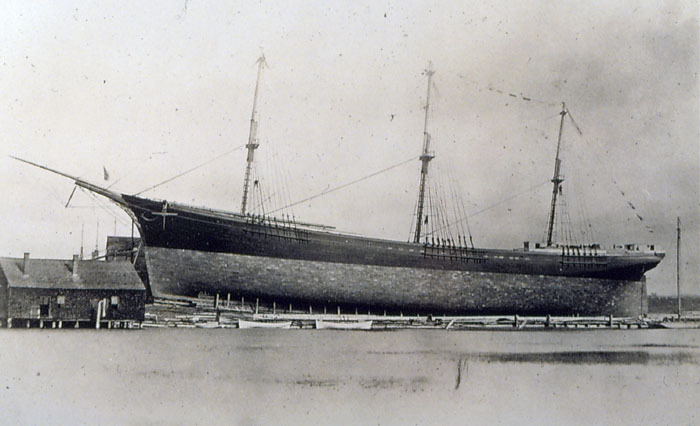 In the 19th century a primary design tool with most American sailing vessel designs starting out as carved half models, from which dimensions for the full-sized hull would be taken. 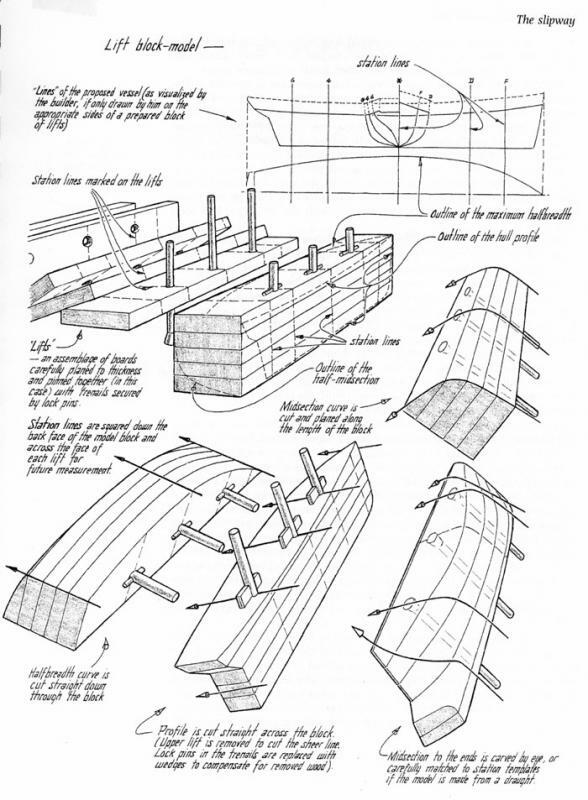 A large building for drawing full-sized patterns and laying out wooden pieces for a vessel. As a verb, to loft is to draw the lines of the vessel on the floor of the mold loft. floor. 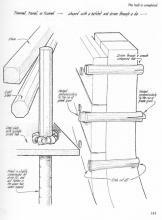 The aftermost timber in a wooden vessel or steel piece in a steel vessel, forming the stern of the ship and joined to the keel by scarfing or riveting. Used to steer a vessel. 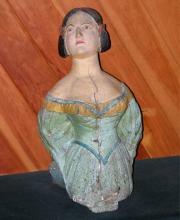 A flat piece or structure of wood or metal attached upright to the stern of a boat or ship. The rudder may be turned, causing the vessel's head to turn in the same direction. is hung, were scarfed and bolted to the keel. 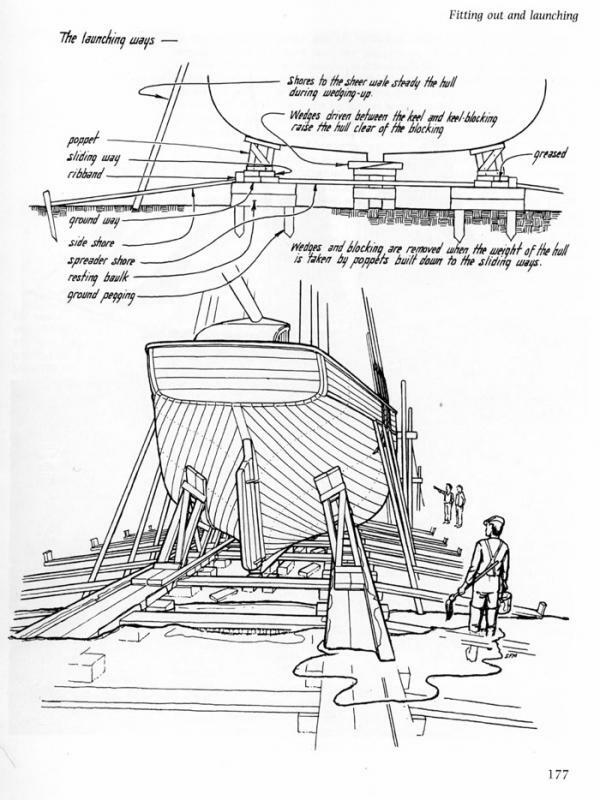 Commonly pronounced "trunnel" or "trunnels"; wooden spikes or pins, often made of locust wood..
A second keel, built over the keel, on top of the floor timbers of the frames, to strengthen the vessel's skeleton., was built over the keel, on top of the floor timbers of the frames. 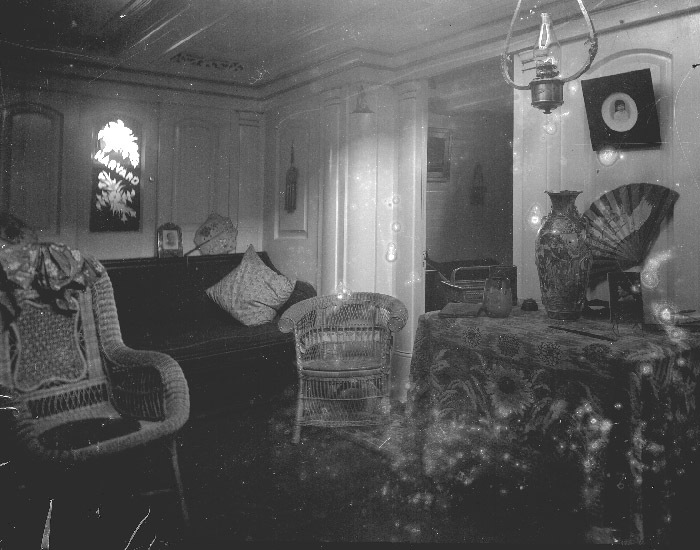 The inside planking of a ship. : an inner skin planked inside of the frames. Despite its name, the ceiling acts as a floor to the cargo hold, and it provides additional longitudinal strength for the hull. 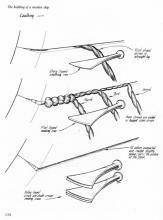 (verb)To pour hot pitch into a deck or side seam after it has been caulked with oakum, in order to prevent the oakum from getting wet. 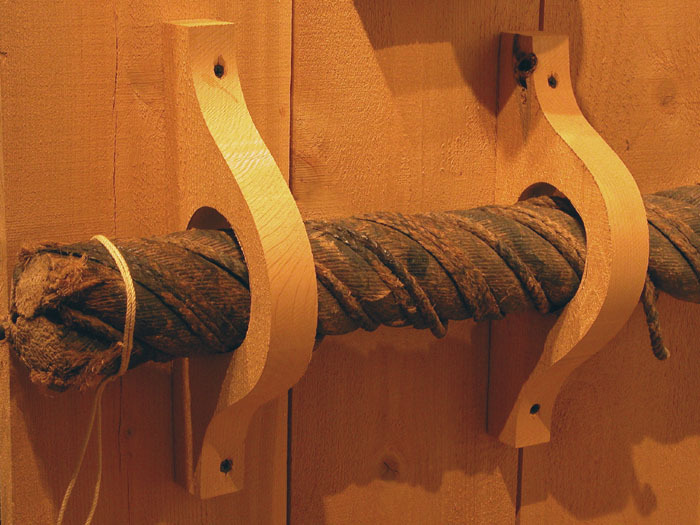 Also, to dress a mast or yard with tar, varnish, or tallow, or to cover the bottom of a vessel with a mixture of sulphur, rosin, and tallow (or in modern days, an anti-fouling mixture. 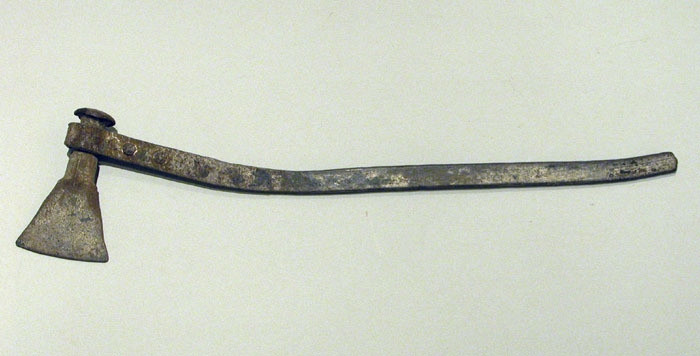 ), or covered with tar, completely sealing the seam. Read more was often very elaborate and required highly-skilled joinery work. Painters applied coatings to protect the wood. After the ship was launched, the crew became painters, for painting never ended. 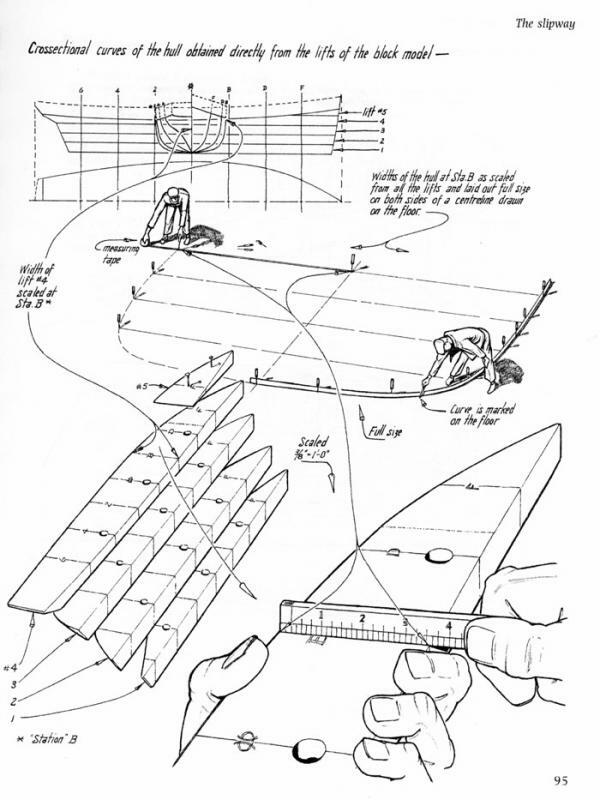 Spar projecting forward from the stem of a sailing vessel, for the purpose of extending the head sails and keeping the sail plan balanced..
A temporary structure of two or three spars raised at an angle and lashed together at the point of intersection. to lift and place the masts onto the ship. 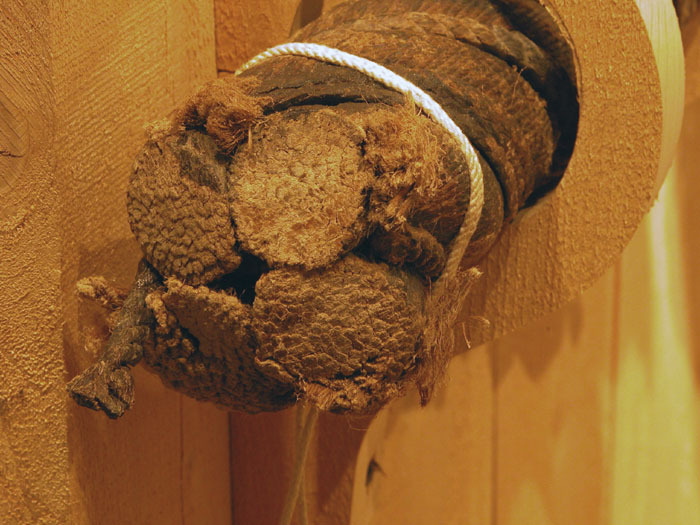 An eye formed in a rope by weaving its strands back into the rope. if needed. 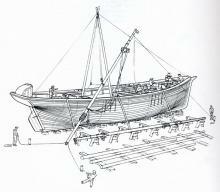 Then the rigger set up all of the spars, preparing them to receive sails, attaching iron work and blocks, and running all of the rest of the lines. A wooden ramp used to slide a ship into the water. : the rails that carried it into the water. 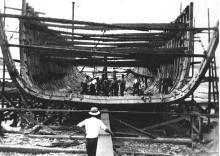 Dozens of wedges made up the cradle and were driven just before launching to transfer the weight of the ship from the blocks to the cradle. 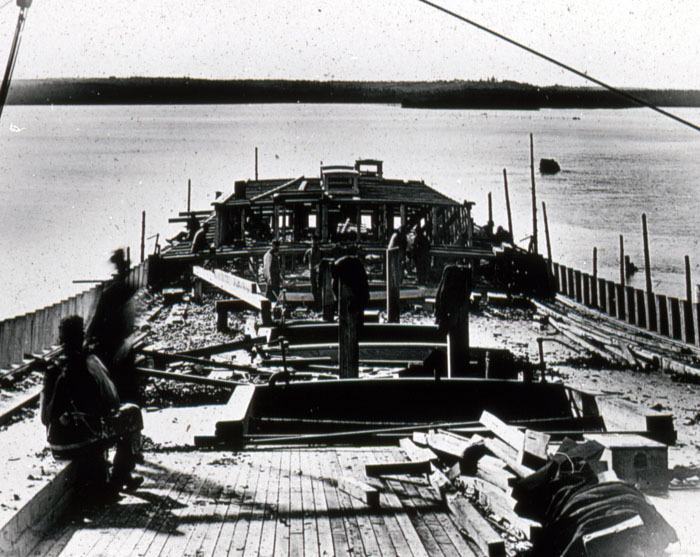 When the ship’s sponsor broke a champagne bottle on the stem, a pin was pulled that allowed the ship to slide down the ways, stern first, into the water. A festive launching could attract hundreds of friends, neighbors, and curious spectators.